Each level consists of 20 lesson-hours (50 minutes per lesson). The first part of the day focuses on grammatical structure and vocabulary, the second part on expression and communication. Classes are taught by professional teachers with experience in teaching Italian as a foreign language. Students learn the forms and rules of the language with particular care given to usage and expression. There is also emphasis on comprehension, and the use of the language in a cookery context. The school provides the teaching materials, including free photocopies. Text-books are lent by the school. Our cooking lessons are designed to teach students the methods of professional Italian cooking and help students to uncover the secrets of Italian cuisine. When we prepare, for example fresh pasta, every student will work alone following the instructions of our teachers who will verify the techniques and the results. The aim of the course is to learn the techniques of professional cooking for domestic or business use. The techniques are applied to various dishes and recipes, developed to your own style and taste. By learning the techniques, you can uncover the secrets of high-quality cuisine - traditional Italian and international, vegetarian or dietetics. Lessons are arranged by courses (starters, pasta, main courses, side dishes and dessert) or by theme (pasta, meat, vegetables, wines). Each meeting lasts three hours. At the end of the lesson you can taste the food you have prepared during the course. 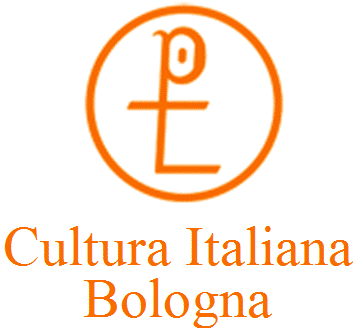 This course is organised by different levels: for those with no experience in cooking at all; for those who can cook but have no experience in Italian cooking; for those already familiar with Italian cuisine and have experience in cooking Italian dishes; and for those already competent in Italian cooking and already know several different recipes. Cooking lessons are held from 07:00 p.m. - 10:00 p.m.